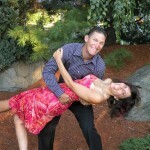 Do It With Your Spouse…HIIT Style! Here’s a rewarding 60-30 Fat Burning Workouts Interval Circuit that Tony and Alisa did together. These are all bodyweight exercises, so you can do it anyplace/anytime. 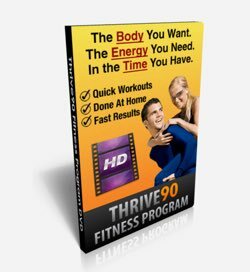 Do this HIIT (High Intensity Interval Training) with your spouse and share in the enjoyment of losing weight, getting fit, and feeling great! 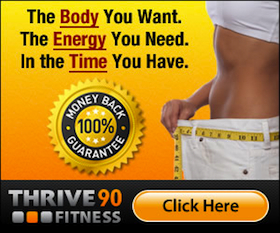 You’ll do each exercise for 60 seconds, and then rest for 30 seconds before going to the next movement. Start with a 2 minute warm-up, then do the 9 exercises, and finish up with a 1 minute cool-down for a grand total 16 minutes and 30 seconds of best fat burning workouts good times. Try it out and make sure you hit the Like button above. How do you and your spouse feel after that HIIT workout? Thanks ladies. I have to say that I would much rather be behind the mikes with Tony than on camera but am getting more comfortable with it (slowly). It is interesting to see yourself working out. Another one of those motivators. This is great! Something we can do together at home in 15 minutes! You got it Danny. Fun, but challenging at the same time. Hope you enjoy doing your HIIT’s with your wife. Let us know how it goes.